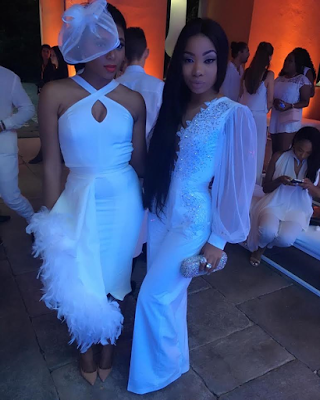 The beautiful singer, Mocheddah stuns in her white classy jumpsuit to Seyi Tinubu's wedding. 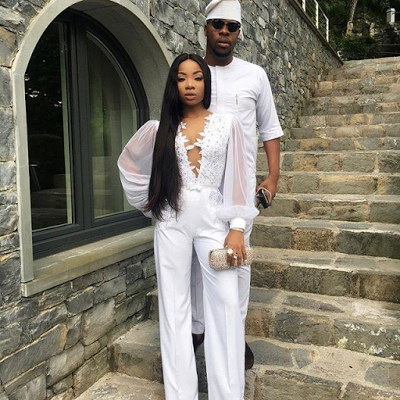 She was spotted stepping out with her longtime boyfriend,Prince Bukunyi Olateru-Olagbeji. 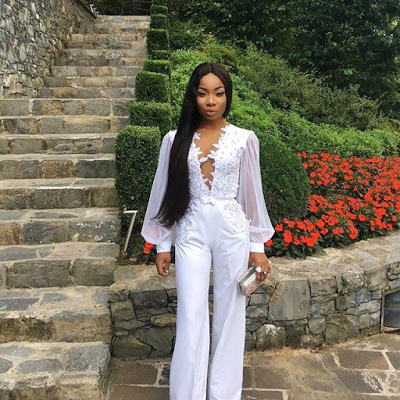 The singer rocked a white curve-hugging jumpsuit from her online fashion store to the wedding reception of Seyi Tinubu and Layal Holm.